Website Speed Tests are executed with real web browsers from different world locations. Results represent the end-user experience. We use cloud instances with latest browsers installed in order to load test the websites from different world locations. 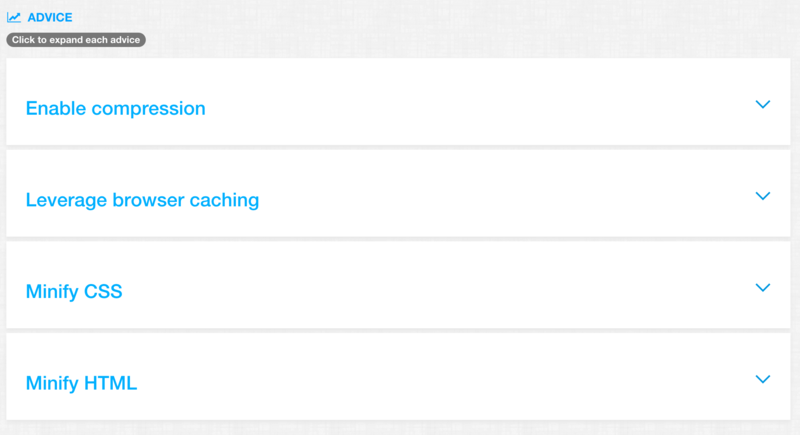 Tests run with real browsers, so real detailed optimization recommendations and speed insights are displayed. Easily re-run speed tests and compare all page load metrics. We keep all your website speed test results for you to better compare between different speed runs. Find out what technologies pages are using in order to decide what technologies to implement on your website. First byte - Find out the delay between the first HTTP request from the web browser and the reception of the first byte of the web page by the browser. 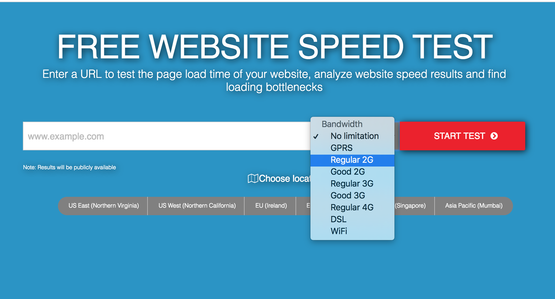 Speed test your website to understand load time, latency, page size, number of requests, page score and others. Get an better insight on how your website behaves in comparison to your customers and find areas of improvement. Test how your pages load in different network conditions GPRS, 2G, 3G, 4G, WiFi and others. Make your site look great and load fast on any device and any bandwidth connection. We display speed improvements based on best practices for usability and optimization. Inspect and optimize the performance of your website. Dynamically generated time line of all the page load events that occurred in navigating to this page and loading its content. View times for rendering a page based on network, server and browser timings. View historic results and check evolution of all page load events. Dynamically generated list of most linked pages insind your website. Get an understanding of which pages are most clicked and used by your customers. View speed results for each one of your most important pages of your website. Overview of all resources (JS, CSS, Images, HTML etc) loaded on your web pages.